Preliminary research findings by Mr Talknice Jombo, a lecturer and researcher in the Department of Food Science and Nutrition at Midlands State University are set to significantly reduce the amount taken to prepare hard-to-cook (HTC) cowpeas (Nhire). According to his research, through the effective use of gamma radiation, communities will not only spend less time cooking HTC cowpeas but will also save a lot of energy. In the same vein, students in the Department of Food Science and Nutrition have not only taken a strong interest in food innovation but are also exploring food entrepreneurship as an alternative to seeking employment after graduation. The majority of students are already tapping into the culture of problem-solving through what they term ‘Foonovation’ meaning Food innovation. In her presentation, Rufaro Chikeya, a student in the department said they have already come up with several products that promote healthy communities. ‘We have produced a number of unique products … Our main goal is to open new streams of revenue, empower the unemployed graduate by creating employment and to contribute unique products to the local industry’, she said. Speaking during the seminar, the Executive Dean for the Faculty of Science and Technology, Dr Action Nechibvute, said the research seminar presented an opportunity for the Faculty to play its part in implementing the University’s Strategic Plan 2019-2023. The Strategic Plan emphasises on the need for Midlands State University to prioritise and excel in research, innovation, technology, industrialisation and Commercialisation. 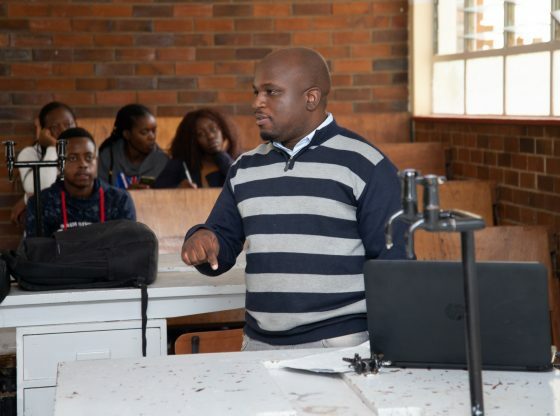 Among those who attended the seminar was the Assistant to the Vice-Chancellor, Professor Hazel Ngoshi as well as staff and students from the Faculty of Science and Technology.